Furthermore, he offers an explanation as to why technological connection and being part of a group does not always alleviate the sense of loneliness. We are disconnected from ourselves. Loneliness is the ill-being of our time. We feel very lonely. Even if we are surrounded by many people. We are lonely together. And there is a vacuum inside of us and we do not feel comfortable with that kind of vacuum, so we try to fill it up by connecting with other people. We believe that when we connect with other people that feeling of loneliness will disappear. And technology supplies us with a lot of devices in order to connect. Stay connected. We always stay connected but we continue to feel lonely. In our daily life, we are disconnected from ourselves. We walk, but we do not know that we are walking. We are there, but we do not know that we are there. We are alive, but we do not know that we are alive. We are losing ourselves, we are not ourselves. 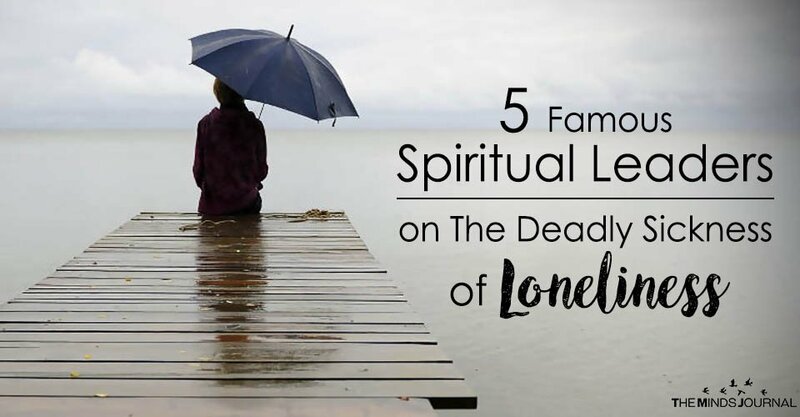 Healing loneliness requires more than simply seeking out the company. As you’ve probably experienced, you can feel lonely in the middle of a crowd, at a holiday party or with a group of caring friends. The root of loneliness isn’t the absence of other people but an inner absence — you don’t have a centered awareness of your true self.